This underwater image was taken in Checheng, Southern Taiwan, for the short film Unlocking Climate Secrets. Analyzing the chemical composition of coral samples can provide data to reconstruct global climate systems throughout several centuries. 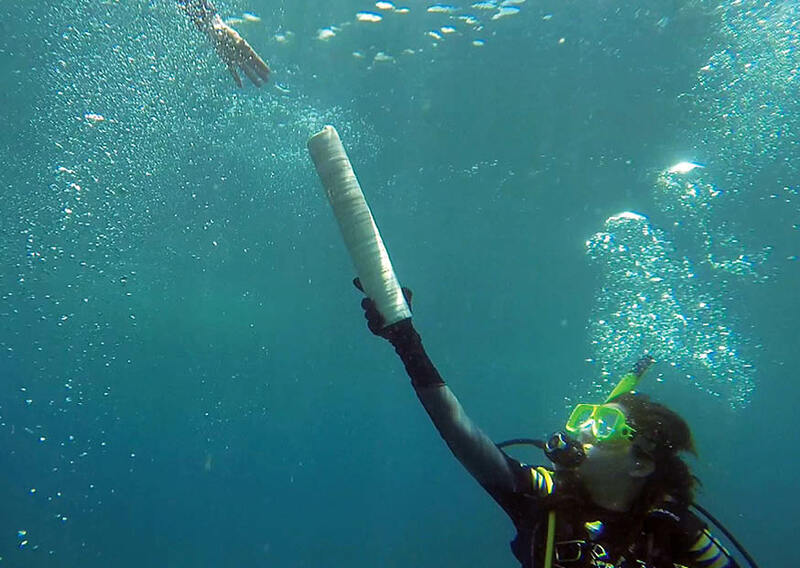 Scientific researcher Nathalie Goodkin passes a sample of Porites coral to a scientist aboard the research vessel, in a pose that brings to mind a scene from Michelangelo’s Sistine Chapel’s paintings created in the Vatican during the early 16th century.